Details of the Watson family from Grewelthorpe and surrounding area. Information taken from census returns and other records.If you can add any information to this page please contact the site. ALBERT WATSON. Born 7 Feb 1871. Married to Winifred V. [born 1873]. A retired farmer living Whitelands Kirkby Malzeard in 1939. ANN WATSON. Born 1860 Kirkby Malzeard. Died 1887. Dau of Thomas & Jane Thackray. Married in 1882 to Matthew Cundall. ARTHUR WATSON. Born 1868 Kirkby Malzeard. Son of William & Hannah Umpleby. Married  Jane Ellis. in 1894. Clara Dobson. in 1899. ARTHUR L. WATSON. Born C1880 Sawley. Son of Thomas & Sarah. ARTHUR WATSON. Born 18 Dec. 1888. Married to Sarah [born 1888]. Dairy Farmer at Laverton Mount in 1939. CHARLES WATSON. Born C1842 Scruton. Lived Nutwith Cote, Burton, Masham. Married to Ann of Thornton le Stewart. CHARLES WATSON. BornC1866 Scruton. Son of Charles & Ann. CHRISTOPHER WATSON. Born C1836 Grewelthorpe. Married Elizabeth Calvert. from Kirkby Malzeard in 1859. He was a Game Watcher at Studley Roger. CONSTANCE R. WATSON. Born 22 July 1929. Dau of Robert & Rachel. of Pateley Bridge. Later married ? Marrison. DARCY WATSON. Born 1864 Masham. A joiner. Married to Maria from Burnley. Living in Burnley Lancs. in 1911. EDNA WATSON. Born 25 April 1930. Dau of William [electrician] & Ivy. Married John Newcombe in C1954. EDWARD WATSON. Born C1883 Masham. Son of Charles & Annie. ELIZABETH WATSON. Buried 5.6.1704 Grewelthorpe. Dau of John. ELIZABETH WATSON. Buried 21.3.1733. Grewelthorpe. ELIZABETH WATSON. Born C1836. Buried 15.10.1877 Dallowgill. Age 41. ERIC A.WATSON. Born 7 Dec 1916. Son of Arthur & Sarah of Laverton Mount. Cowman. ESTHER WATSON. Born 1788 Ramsgill. Died 1830. Dau of Godfrey & Esther Richmond. ESTHER WATSON [nee ?] Born C1835 Grewelthorpe. Married to George [Innkeeper]. In 1911 a widow. No children. living in Ripon. FRANCES M. WATSON. Born 7 Dec 1919. Possibly dau of William [born 1878] Housekeeper for him in 1939 at Redmire Grantley. FRANCIS WATSON. Born 22 Aug. 1867. Living at Crown Hotel in 1939. Incapacitated. FRANK WATSON. Born C1869 Scruton. Son of Charles & Ann. FREDERICK WATSON. Born C 1888 Masham. Son of Charles & Annie. FRED WATSON. Born 21 June 1892. Married to Mary [born 1891.] Farmer at Eavestone in 1939. GEORGE WATSON. Born C1657 Kirkby Malzeard. Son of Godfrey & Margaret Woode. Married Dorothy Hawksby. in 1684 in K.Malzeard. GEORGE WATSON. Born C1688. Son of George & Dorothy Hawksby. GEORGE WATSON. Born C1731 Dallowgill. Son of Thomas & Margaret Wood. Married  Agnes of Kirkby Malzeard in 1752. Isobel Harrison. in 1779. GEORGE WATSON. Born 1766 Dallowgill. Died 1832 Fountains Earth. Son of James & Flora Longbottom. Married 1799 to Ellen Cundall. Kirkby Malzeard. Lived Coville House Farm. GEORGE WATSON. Born 1802. Kirkby Malzeard. Died 1875 Cumberland. Son of George & Ellen Cundall. Married Mary Richmond. in 1830. GEORGE WATSON. Born C1809 Eavestone. Innkeeper. Married Esther from Grewelthorpe. GEORGE WATSON. Born C1867 Ainderby Quernhow. Stockman. Married to Lily of Leeming Lane. GEORGE WATSON. Born C1880 Kirkby Malzeard. Died 1961. Son of William & Hannah Umpleby. A Blacksmith. Married Mary Anne Ingleby. of North Stainley. They had dau Lizzie. [b1910]. in Ripon. George Watson 1880 – 1961. GODFREY JEFFRAY WATSON. Born 1634. Married Margaret Woode. in 1654 in Kirkby Malzeard. Had son George.[b1657]. GODFREY WATSON. Born C1754 Dallowgill. Died 1831 Ramsgill. Son of Thomas & Margaret Wood. Married Esther Richmond. in 1776 in Pateley Bridge. HANNAH WATSON. Born C1878 Kirkby Malzeard. Dau of William & Hannah Umpleby. Married Charles Wilson. of Dallowgill in 1900. moved to Otley. HIRAM WATSON. Born C1871 Kirkby Malzeard. Son of William & Hannah Umpleby. Married Jane Annie Wilson. from Dallowgill in 1894 and they moved to Otley. He was a Carpenter & Joiner. Had son Frank. [b1897]. ISABELLA WATSON. Born C1873. Died 21.3.1917 Kirkby Malzeard. age 44 of cerebral abscess. JAMES WATSON. Born C1716. Died 1792 Coville Houses, Kirkby Malzeard. Married Flora Longbottom. of Pateley Bridge in 1759 in Kirkby Malzeard. JAMES WATSON. Born C1793. Buried 9.4.1869 age 76. Grewelthorpe. JAMES WATSON. born C 1850 Sawley. Married to Lucy from Grantley. Lived Pickengill Sawley in 1901. JAMES WATSON. Bap. 28.9.1862 Son of Christopher [Gamewatcher] & Elizabeth Calvert. JAMES H. WATSON. Born 19 May 1884 Sawley. Son of Thomas & Sarah. Farmer at Sawley Moor Farm in 1939. Married to Jane A. [born 5 Nov 1885]. JAMES WATSON. Born 16 Feb. 1914. Son of Robert & Rachel of Pateley Bridge. JESSIE WATSON. Born C 1884 Sawley. Dau of James & Lucy. JOHN WATSON. 11.4.1700 Married Elizabeth Burnistone. both of Grewelthorpe parish. JOHN WATSON. Buried 1726 [unmarried]. Grewelthorpe. JOHN WATSON. Born C1776 Dallowgill. Died 1854 Ramsgill. Son of Godfrey & Esther Richmond. JOHN WATSON. Born 1799 Eavestone. Died 1889 Ripon. Son of Thomas & Ann Leeming. Married in 1826 to Ann Webster. JOHN WATSON. Born 1863 Eavestone. Died 1930 Ripon. Son of Thomas & Jane Thackray. Married in 1885 to Mary Jane King. of Sawley. JOHN LEONARD WATSON. Born C1879 Kirkby Malzeard. Died 1957. Son of William & Hannah Umpleby. A Joiner. Married Emma Jane Ayres. of Bedfordshire in C1906. Had son Roland [b1910] in Bradford. JOHN THOMAS WATSON. Born 1887 Kirkby Malzeard. Died 1963 Galphay. Son of Thomas & Mary Longster. Married in 1913 to Margaret Watson. LAWRENCE WATSON. Born C1880 Burton on Ure. Son of Charles & Ann. LAWRENCE WATSON. Born C 1881 Masham. Horseman son of Charles & Annie. LILY WATSON. Born 31 July 1880. Living Primrose Hse Ripon in 1939. A secondary school teacher. Unmarried. MARGARET ANN WATSON. Born 1861 Masham. Dau of William [The organist] & Catherine. MARGARET WATSON. Born 1876 Burton on Ure. Dau of Charles & Ann. MARGARET WATSON. 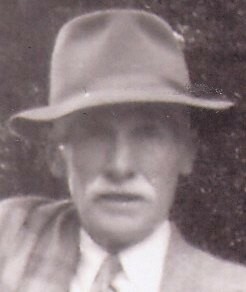 Born 1886 Dallowgill. Died 1966 Claro dist. Dau of John & Mary Jane King. Married in 1913 to John Thomas Watson. of K.Malzeard. MARY WATSON. Born C 1831 Sawley. Dau of Mary of Little Ouseburn. Married to Willis Ashby. MARY ANN WATSON. Born 3 July 1837 Laverton. Died 1912 Darley. Dau of Thomas & Grace Illingworth. Married Christopher Gill in Ripon Cathedral on 20 April 1867. MARY ANN WATSON. Born C1860 Birkby Nab. Studley. Dau of Christopher & Elizabeth Calvert. Married Robert Ashby. see Ashby page. MARY WATSON. Buried 8.2.1862. Age 4. Dau of James & Elizabeth. of Gate Bridge, Galphay Moor. MARY E WATSON. Born C 1896 Sawley. Dau of Thomas & Sarah. MINNIE WATSON. Born C1890 Masham. Dau of George & Lily. OWEN WATSON. Born 11 June 1913. Died 1983. Kirkby Malzeard. Son of George & Mary Ann Ingleby. Married in 1937 to Gladys Cowling. [born 1913]. In 1939 living Ripon. An electric welder and fitter of agricultural machinery. RICHARD WATSON. Born C1878 Burton on Ure. Son of Charles & Ann. ROBERT WATSON. Born C1769 Kirkby Malzeard. Buried 29.10.1852 age 83. ROBERT WATSON. Born 22 Dec 1881. Kirkby Malzeard. Son of William & Hannah Umpleby. He was a Wheelwright. Unmarried living Kirkby Malzeard in 1939. ROBERT W. WATSON. [Senior] Born 20 Feb 1884. Stockbreeder at Moorhouses Farm Pateley Bridge in 1939. Married to Rachel M.M. [Born 1886]. ROBERT W. WATSON [Junior]. Born 5 Dec 1916. Son of Robert & Rachel. Married to Edith E. [Born 1919]. Living Croft House Farm. Moorhouses. Bewerley. Lengthman & Farmer in 1939. RONALD T. WATSON. Born 15 May 1914. Farmer at Moor Lane Farm in 1939 Married to Annie F. [born 1911]. RUBY F. WATSON. Born 17 Oct 1925. Dau of Robert W. & Rachel. Living Pateley Bridge in 1939. SARAH WATSON Dau of Mrs Pickersgill. Put the following notice in the York Herald newspaper March 17 1827.Sarah Watson dau of the late Mrs Pickersgill, the original cream cheese maker of Grewelthorpe, deceased, begs leave to announce to her friends and the public, that having had 8 years experience in the above business, under the superintendence of her Mother, she intends to continue the same, and hopes by attention, to merit the patronage and support so long enjoyed by her Mother. Orders will be gratefully received and punctually executed. SARAH WATSON. Bap. 24.12.1854 Grewelthorpe. Dau of James & Elizabeth. SIMON WATSON. Born C1773 Dallowgill. Buried 3.1.1854 age 82. THOMAS WATSON. Born C1697 Dallowgill. Son of Godfrey & Dorothy Hawksby. Married Margaret Wood. in 1730 in Kirkby Malzeard. THOMAS WATSON. Born 1767 Laverton. Died 1855. Son of George [b1731]. married Ann Leeming. in 1795, Ripon. THOMAS WATSON. Born 1829 Grantley. Died 1907 Pateley Bridge. Son of John & Ann Webster. Married  in 1858 to Jane Thackray. in 1889 to Elizabeth Allinson. THOMAS WATSON. Born C1848 Eavestone. Married to Sarah of Fewston. Living Sawley in 1901. THOMAS WATSON. Born 1860 Kirkby Malzeard. Died 1944 Eavestone. Son of John & Jane Thackray. Married in 1886 to Mary Longster. THOMAS WATSON. Born 1873 Masham. Married in C1898 to Hannah from Stillingfleet. A Publican at Boston Spa in 1911. Possibly the son of Charles & Ann but not proved. THOMAS G. WATSON. Born 19 Sept 1910. Son of William [born 1878,] Farming at Redmire Grantley in 1939. Unmarried. THOMSON WATSON. Born C 1896 Sawley. Son of James & Lucy of Pickengill. TOM WATSON Born 12 April 1880 Sawley. Son of James & Lucy. of Pickengill. Married Kate [born 1880]. Farmer living The Grange Sawley in 1939. WILLIAM WATSON. Born 1804 Ramsgill. Died 1823. Son of John. WILLIAM WATSON. Born 1831 Cowling. Organist and music teacher in Masham. Married to Catherine of Barnard Castle. WILLIAM WATSON. Born 1837 Kirkby Malzeard. Died 1918. A wheelwright & carpenter. Married Hannah Umpleby. WILLIAM WATSON. Born C 1870 Masham. servant in Appleton Wiske 1901. WILLIAM WATSON. Born C1876 Kirkby Malzeard. Son of William & Hannah Umpleby. Married Bertha Gray. from Lincoln in 1899. He was a joiner & contractor. Living Harrogate in 1911. WILLIAM W. WATSON. Born 1887 Masham. Married Margaret Bell Smith of Northumberland. WILLIAM WATSON. Born 3 Aug. 1878. a widower in 1939 farming at Redmire Grantley. WILLIAM WATSON Born C1889 Sawley. Son of Thomas & Sarah. WILLIAM WATSON. Born C1893 Sawley. Son of James & Lucy.of Pickengill. WILLIAM C. WATSON. Born 27 April 1907. Married to Ivy [born 1909]. Foreman electrician. Living Ripon in 1939. WINIFRED V.WATSON [nee?] Born 9 April 1873. Married to Albert. [born 1871].